Oscar Wilde said the conversation about it was the last refuge of the unimaginative, while Bill Bryson noted that it’s most striking characteristic is that there isn’t much of it. The weather – and the British obsession with talking about it – has been puzzling outsiders for decades. 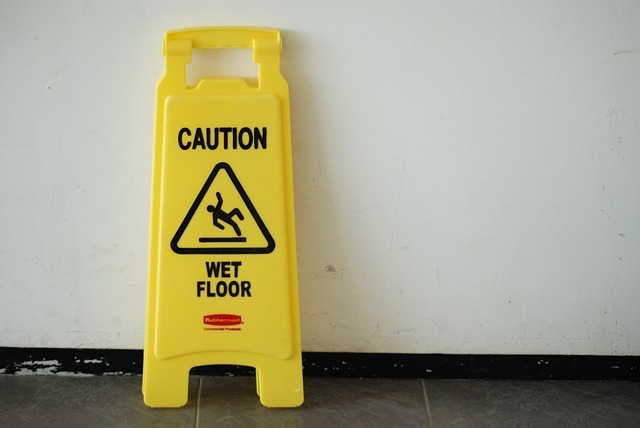 Rainy weather means slippery surfaces, but this doesn’t just come with the month of April, it could be each and every month these days in the UK, but the question is, how seriously do we take the potential of slip accidents? 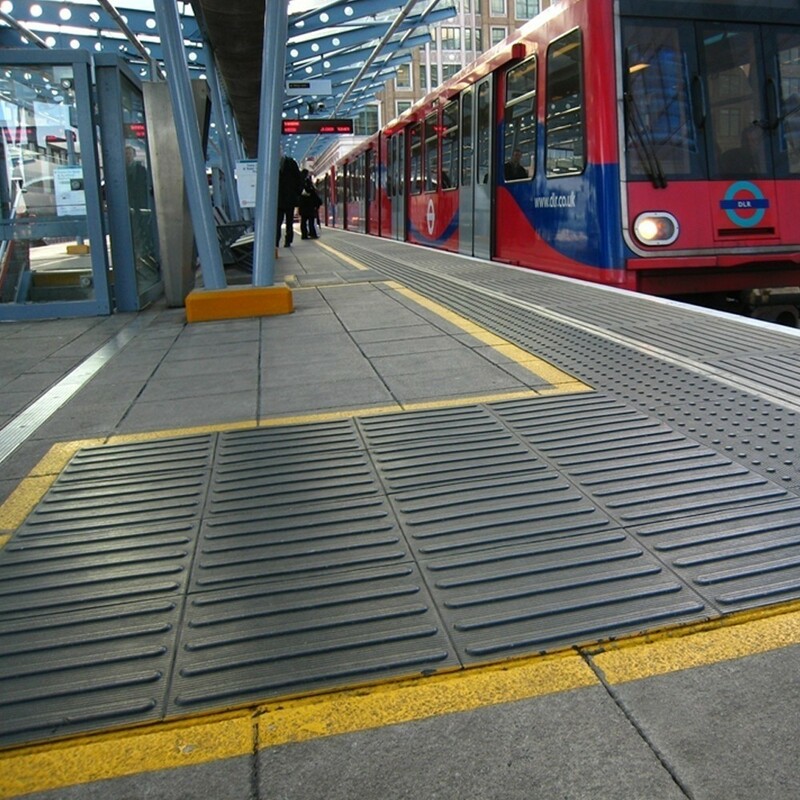 The purpose of a corduroy surface is to warn visually impaired people of the presence of specific hazards such as; steps, level crossings or the approach to on-street light rapid transit (LRT) platforms. It is also used where a footway joins a shared route. It conveys the message of ‘hazard, proceed with caution’. At GripClad, we understand what a company might need to maintain compliance with the Equality Act 2010. We have worked with a number of companies ensuring that their premises are both safe and compliant, and these Surface Mounted Corduroy Tactiles help us to help you do just that! We have many customers in the construction industry who come to us looking for alternatives for things like their bridge or walkway structures. They are often looking for an alternative to wood, so it doesn’t rot, or something that is robust like metal, but won’t rust. Turnhouse Golf Club, on the west side of Edinburgh, are always looking to improve the golfing experience for their visitors and members. 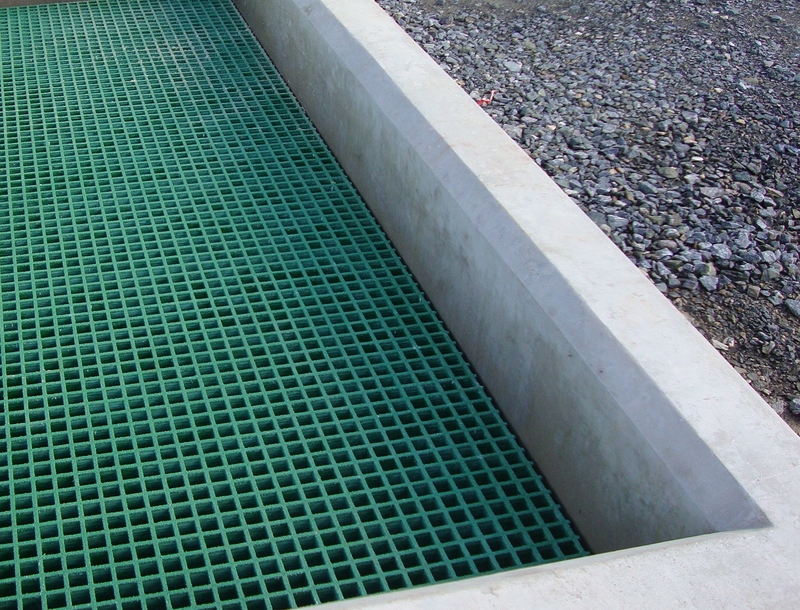 It is generally believed that chequer plate is a solution to prevent slips and trips but if you have ever stepped or walked on wet or oily chequer plate that is contaminated, you will immediately know this is not the case. In fact it is a main contributor to thousands of slip accidents, indeed chequer plated surfaces are a slip hazard. The West Lancashire Golf Club pride themselves on making sure they are improving standards all the time. 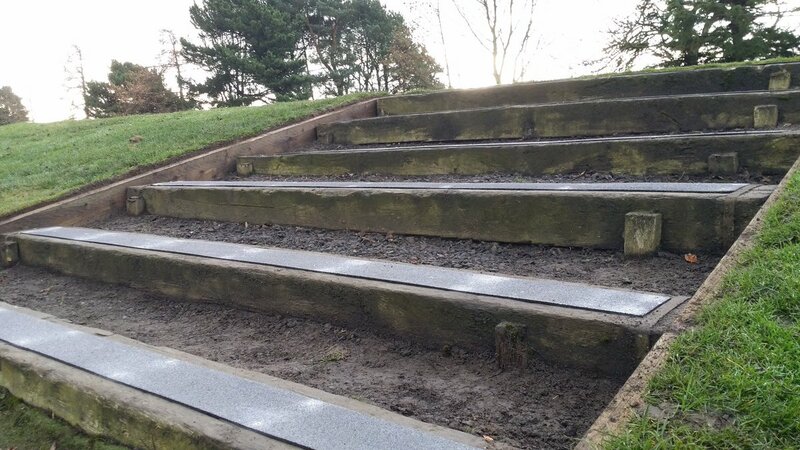 So, when Course Manager, Stuart, started his role at the course 4 years ago he spotted some obvious improvements needed to the wooden sleeper steps around the greens, and they needed to be anti-slip. GRP Grating: Unusual for some, but always practical! 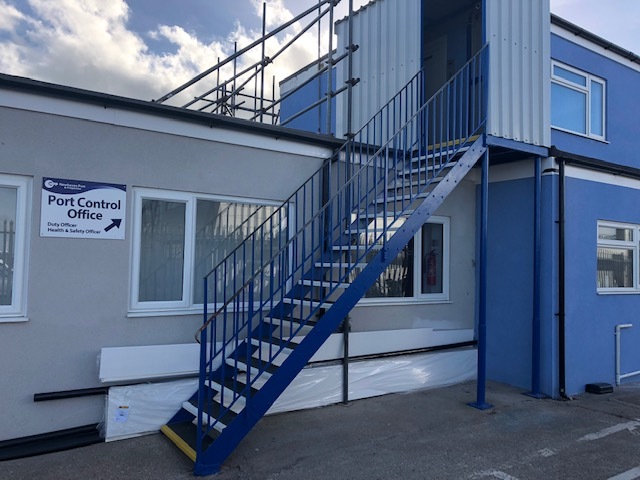 Earlier this year we fitted a walkway using our GRP Grating for Tarmac Marine, which was a first for us, given the conditions the walkways would be used in, being used on a Tarmac vessel. 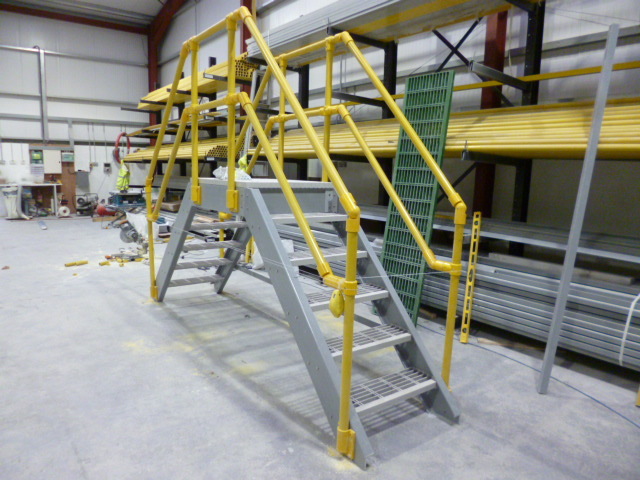 Tarmac Marine contacted us looking for a different solution to their ongoing walkway problems. 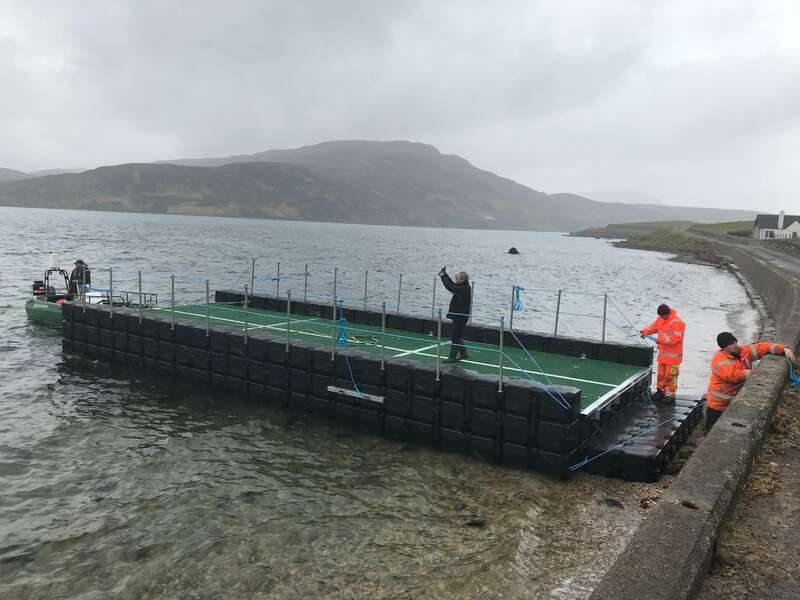 In 2006, Pontoon Works Ltd were contacted by a supply chain partner to the MOD to design, supply and install a Ferry Pontoon capable of moving vehicles, personnel and ammunition for trials off the coast of Cape Wrath. This was done, and the Pontoon serviced the military for 11 Years. However, in 2017, a storm damaged part of the existing pontoon ferry. Pontoon Works were once again contacted to supply a replacement. 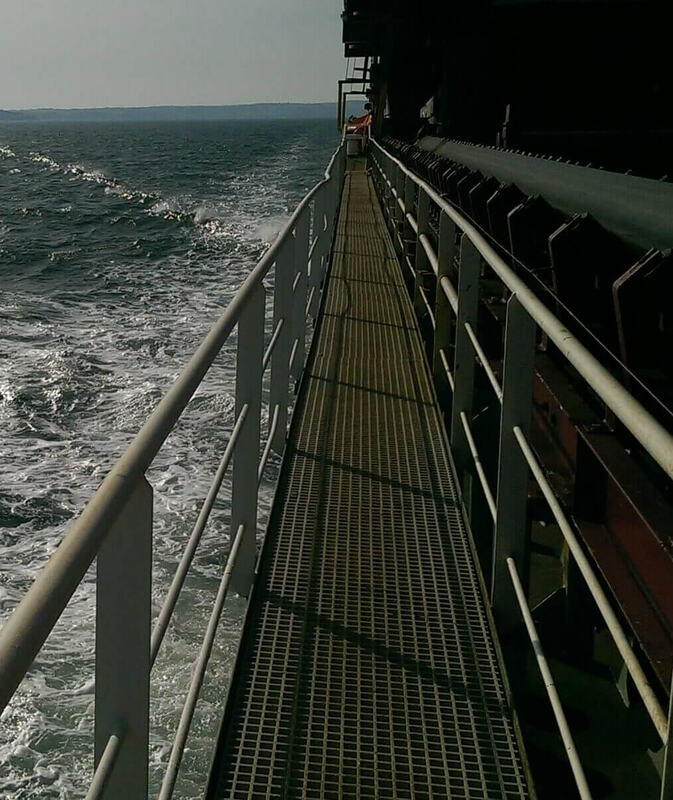 Seaports and docks are working environments that provide a unique range of hazards and exposure to injury. As such, the docking industry is considered to be a particularly high-risk industry. Port and dock workers are required to work both night and day with heavy equipment and specialist machinery in all kinds of weather. GRP Gratings for golf courses are grate! Our most popular products amongst greenkeepers are our GRP sheets and panels used for safeguarding walkways on the course, however, the implementation of GRP Gratings is also becoming a popular choice on the greens now too. GripClad GRP (glass reinforced plastic) Composite Gratings are now being used as effective anti-slip and anti-hazard solutions in golf courses across the UK. 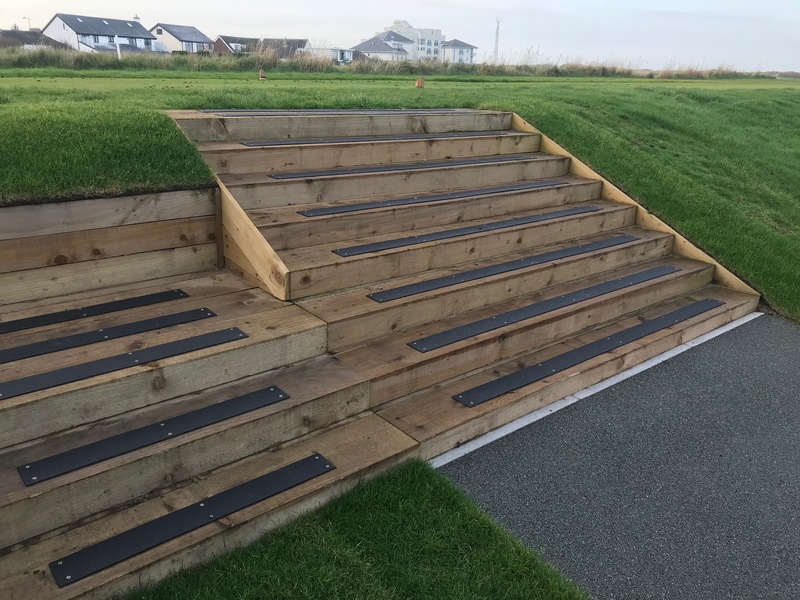 Their many uses include providing anti-slip on bridges, buildings and other structures, but the potential for further implementation remains largely untapped by many golf clubs.